The RSA SecurID authentication mechanism consists of a “token” — either hardware (e.g. a USB dongle) or software (a soft token) — which is assigned to a computer user and which generates an authentication code at fixed intervals (usually 60 seconds) using a built-in clock and the card’s factory-encoded random key (known as the “seed”). The seed is different for each token, and is loaded into the corresponding RSA SecurID server (RSA Authentication Manager, formerly ACE/Server) as the tokens are purchased. The token hardware is designed to be tamper-resistant to deter reverse engineering. 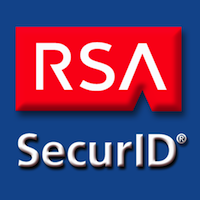 When software implementations of the same algorithm (“software tokens”) appeared on the market, public code has been developed by the security community allowing a user to emulate RSA SecurID in software, but only if they have access to a current RSA SecurID code, and the original RSA SecurID seed file introduced to the server. In the RSA SecurID authentication scheme, the seed record is the secret key used to generate one-time passwords.